When Circle of Fountains received the call to do a public ritual back in December, we were astounded. I suppose it shouldn't have been that big of a surprise; my circle is incredibly cohesive and organized. Though each member has a different belief system, we are all well versed in writing and leading rituals. 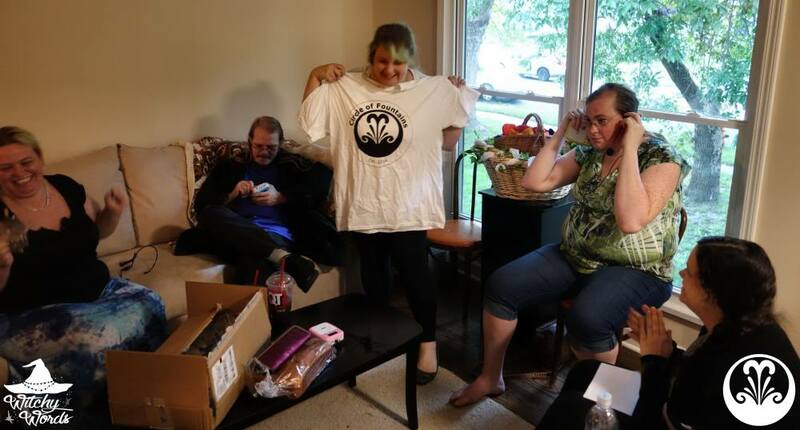 But something as important to the community as the main ritual for Kansas City's Pagan Pride Day ordered an intense attention to detail and advanced planning. 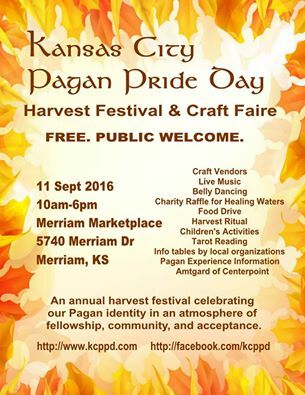 This Sunday, September 11th, my circle will be out at Pagan Pride Day presenting a year's worth of hard work and dedication at 1:30 pm. Without giving away the content of the ritual, I'd like to walk you though step-by-step how we planned a massive public ritual from start to finish. Obviously, we had almost an entire year to plan this ritual. However, if you're more pressed for time, you can certainly condense our timeline into something that fits your needs. Originally, we had planning meet ups scheduled for every other month, starting with February. During this meetup, we thought we would have two public rituals this year but one festival was later cancelled entirely. Taking it slow, we simply discussed the parameters of the rituals and came up with general ideas for themes. This is also where we realized we needed far more meetings if we wanted to approach this properly and thus scheduled a meeting every month from here on out. At the conclusion of this meeting: We had a theme for each ritual. 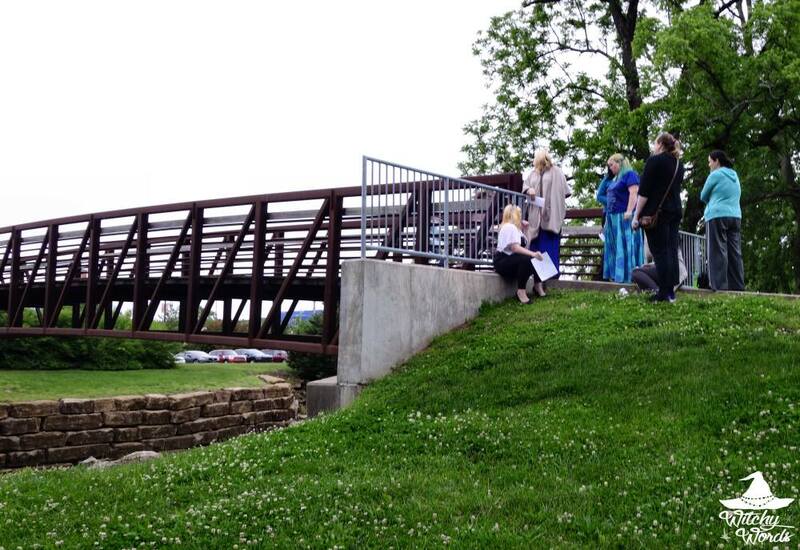 Circlemates were asked to go home and think of ideas for ritual that would fit those themes. Purpose: While we had a general theme coming out of February, purpose was intended to refine the theme into a "thesis statement" of sorts for the ritual. It gave us direct focus. Intro: This included discussion topics that must be addressed to the public before starting ritual as well as any activities (eg cleansing) that needed to be performed before the ritual began. Opening/Closing: Opening and closing referred directly to the opening and closing of the ritual - the minute the magickal activities began. Ritual: Fairly self-explanatory, this was the meat of the ritual. Other: The other column gave us space to talk about supplies, preparation and anything else we needed that pertained to the ritual. We started by having all the circlemates anonymously write all of their ideas on post-its and apply them to the board. We then talked about each post-it one by one, removing and repositioning them when necessary. During this process, I was very opinionated as to what would likely work and what wouldn't when involving a very large group for public ritual. 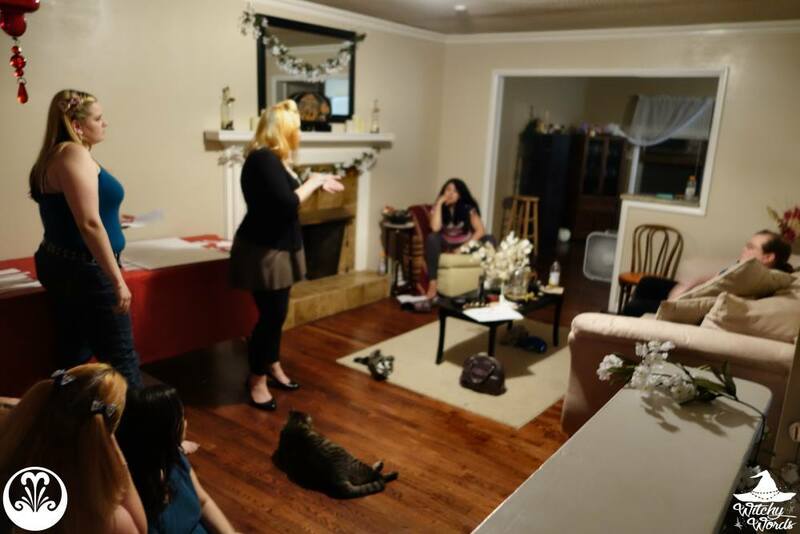 At the conclusion of this meeting: Circlemates walked away with a general outline of the ritual. They were asked to then write the ritual out as if they were the sole author and leader. --> a. Supplies needed for ritual. --> b. Activities needed to be performed before ritual. --> a. Anything that needed to be said before the start of ritual - an intro to the public. --> a. How we were officially and magickally opening the ritual. --> a. The meat of the ritual. --> a. How we were officially and magickally ending the ritual. ... Each ritual was cut apart, with each point filed under the appropriate category. This removed everyone's name from their individual rituals. 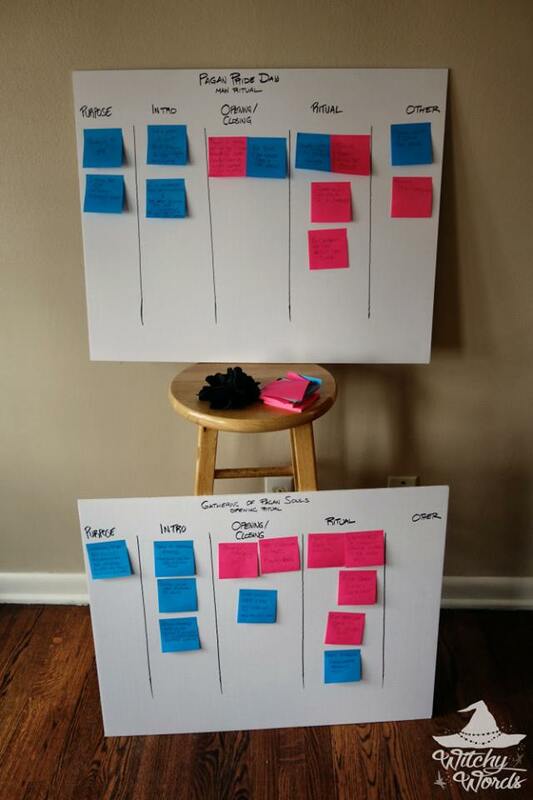 Utilizing the back of the board we used to create the outline with post-its, we discussed each point one by one. We laid them out on the board in the appropriate order, creating an outline that combined every circle member's individual ritual into one cohesive public ritual that represented the very best of all of us. 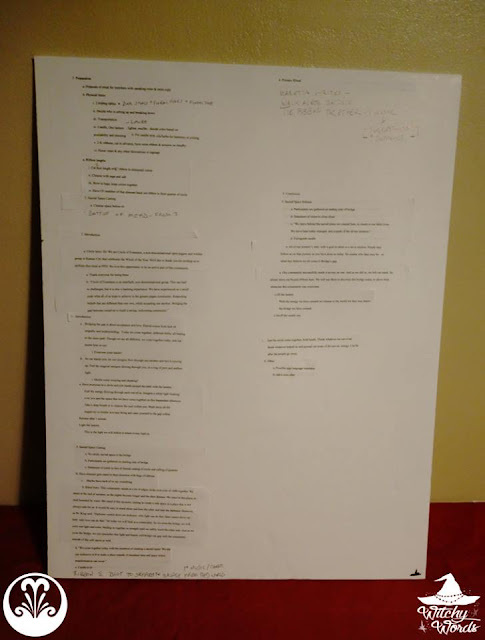 Once we read through the outline and were sure we liked it, I glued it down to the board. 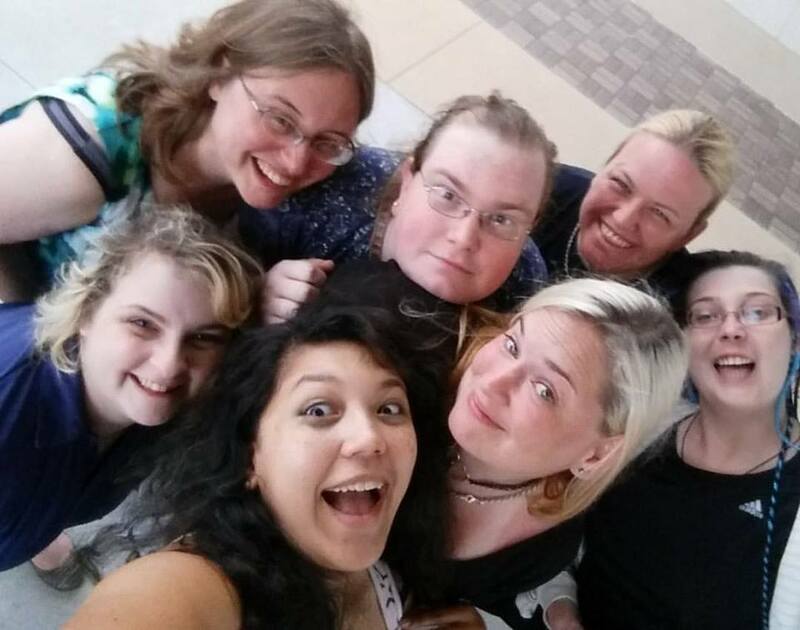 At the conclusion of this meeting: We officially had a rough draft outline of the ritual for September! Now we just needed to refine it. 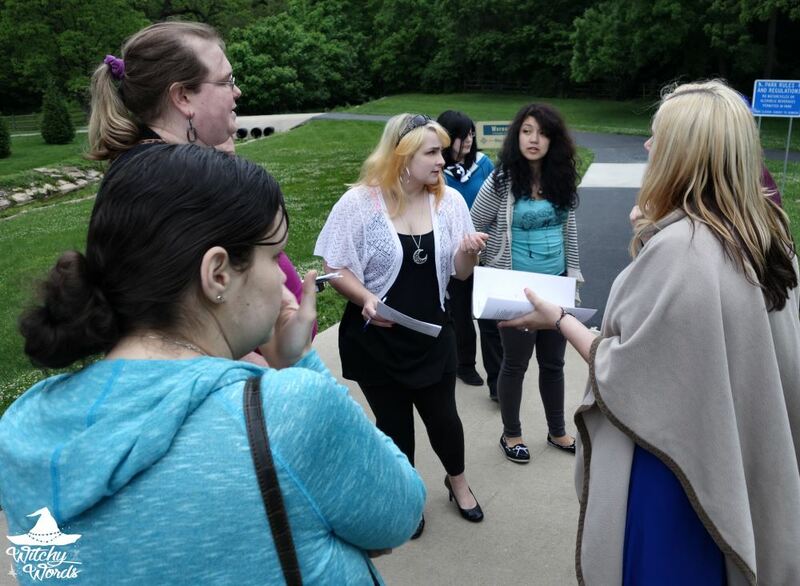 In May, Circle of Fountains ventured out to the site of the public ritual to get an idea of edits we needed to make to the rough draft. After scouring the area to pinpoint flow and placement of each circle member, we did our first official read-through of the ritual. This of course created a few more edits we needed to make. 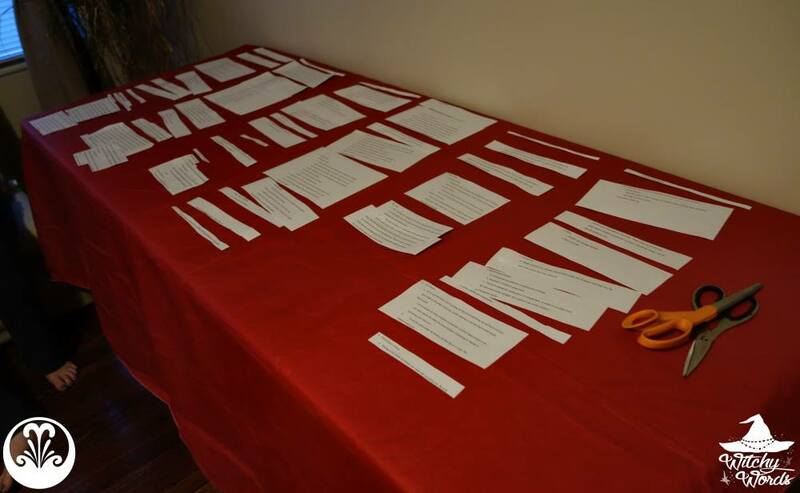 At the conclusion of this meeting: We edited the rough draft into a final draft of our ritual! Now we were ready for supplies. 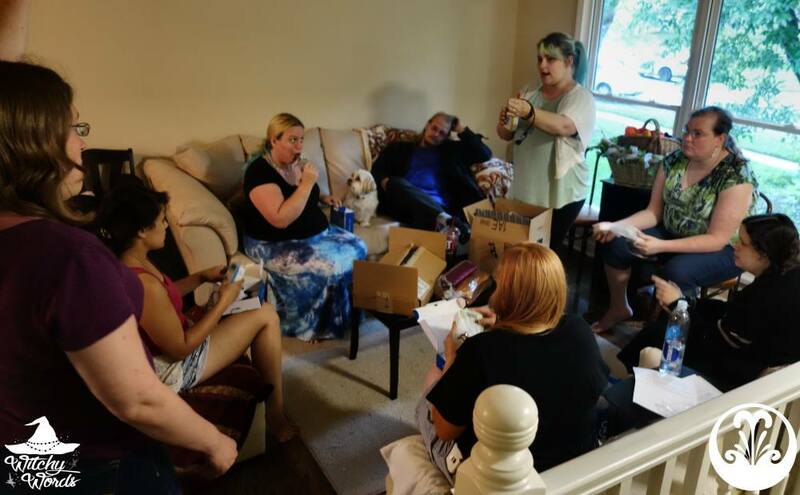 During June, each circlemate was given the responsibility of collecting a few supplies for ritual. 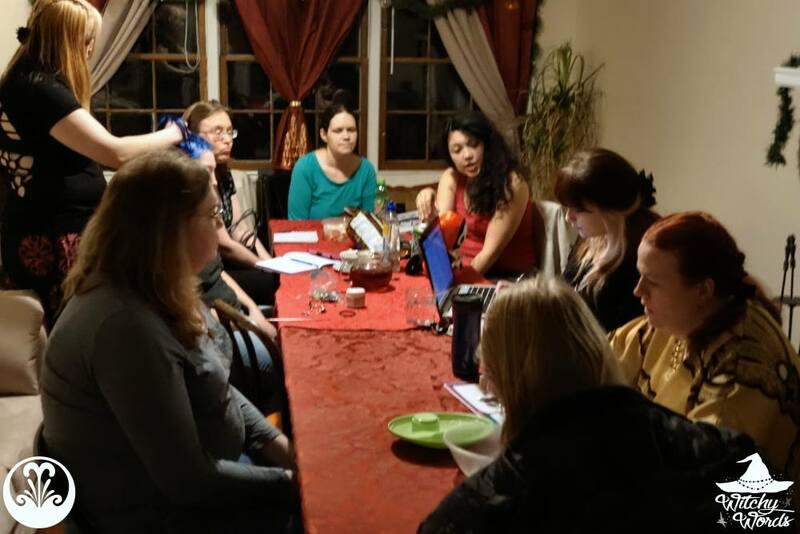 Instead of meeting as a group, since we typically meet on Sunday night when most stores are closed, we simply utilized our group "business-only" chat to talk about what we'd found, what we needed and edits we needed to make based on those supplies. I want to give a special thanks to Kat at Crescent Springs for donating a beautiful sage and lavender bundle for ritual! At the conclusion of this meeting month: CF had all of the primary supplies needed for ritual! 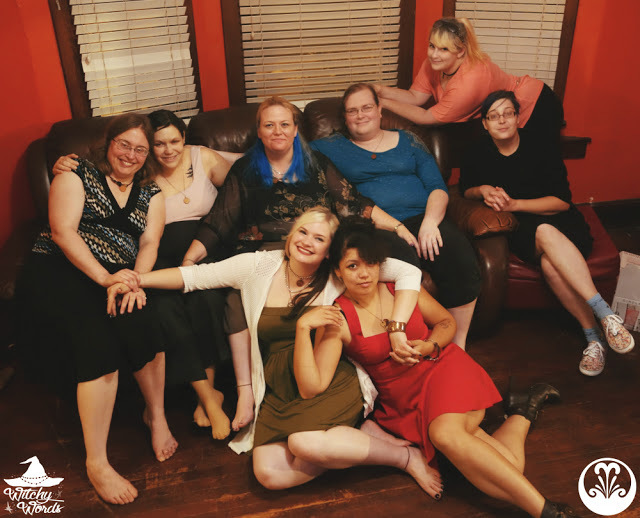 For this month, we met at a circlemate's house and ran through the ritual over and over again. We also took time to start prepping supplies, such as decorating portable altars, anointing, cutting, sewing and anything else we might have needed to do. At the conclusion of this meeting: Most of our supplies were collected and prepped. Circlemates were on their way to memorizing their parts! 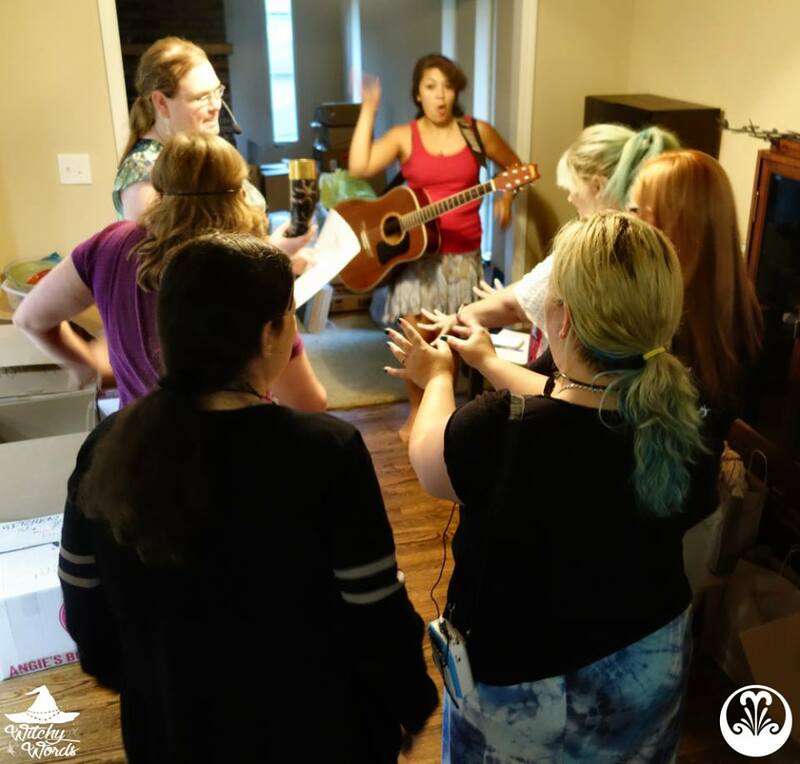 In August, we met back out at the site of Pagan Pride Day and did official full run-throughs of the ritual several times. We finalized our placements, made a few quick edits and spotted some troublesome areas that needed to be addressed. We decided we wanted to be more identifiable and discovered that we struggled to hear each other despite almost yelling across the space. At the conclusion of this meeting: We made the final few edits and ordered the last of the supplies needed. We were almost ready! Final Practice the Week Before Pagan Pride Day! This is it! Our last practice before the official ritual! At the conclusion of this meeting: We are ready for the big day!